Our success means that we often have vacancies for talented people to join our team. If you would like to be part of a friendly, customer-centric team at our head office and factory in Chessington or at our drawing and estimating office in Ashford, Kent, please get in touch and explain why you would like to join our company. We offer training for candidates who have the right core skills and aptitude and as a member of the Centre for Windows and Cladding Technology, we contribute to setting standards for training in the architectural glazing and curtain walling industry. View our current vacancies and if you would like to find out more, please get in touch. 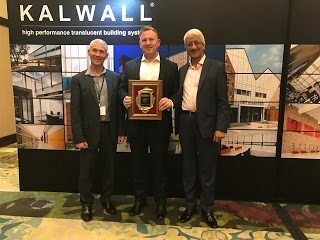 L to R: Paul Mackett, Daniel Rickman and Manny Patel receiving the award for Best Overseas Sales Team for Kalwall in 2017.  We aim to instil a culture of health and safety right from the start, with a health and safety audit and plan as a key part of every project. As part of our focus on employees’ wellbeing, we have implemented a Health Surveillance Strategy for all members of staff working at any of our sites.